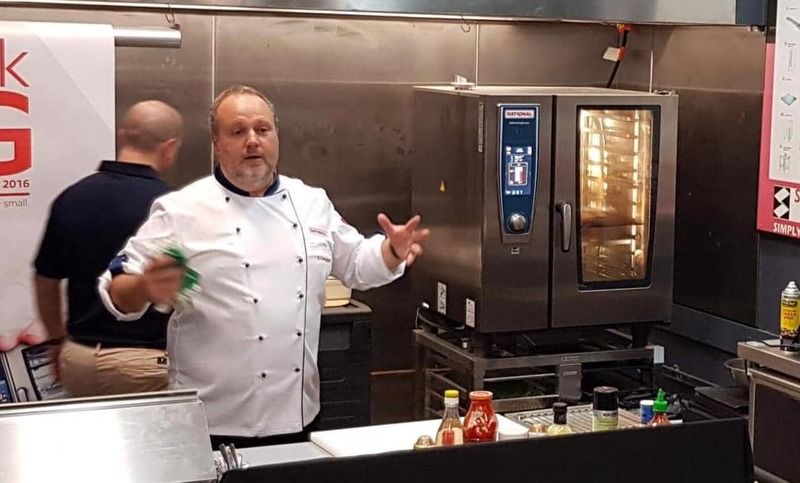 Earlier this month the team from Rational hosted a cooking demonstration at Commercial Kitchen Company, Bundall, Gold Coast for local cafes and restaurants, showing the amazing versatility of the Self Cooking Centre. Brad Frischkorn aided by Cameron cooked an array of delicious dishes including pizza, salmon and chicken and explained the benefits of slow cooking meats over night to leave the Self Cooking Centre available for service during the day. From bakery goods to curries having a Self Cooking Centre in your kitchen will change the way you cook, saving you time and money in the kitchen. To find out more about this fantastic way to cook or details of the next in store demonstration head to the Commercial Kitchen Company showroom in Bundall, Gold Coast or Newstead, Brisbane. Missed the Rational demonstration in our showroom? Explore their website and find out more about the products they offer! If you loved the products then send us an email if you would like a quote for your business today!